To overcome the inherent shortcomings of traditional navigational databases, in late 2000 there was an advent of quite a few graph databases that were ACID (atomicity, consistency, isolation, durability) compliant. Graph databases as the name suggests is defined by a graphical structure consisting of nodes, edges and properties. Graphical databases have become quite popular since the advent of social media analytics and are able to deliver faster and more accurate results to queries on it. Neo4j a graph database management system developed by Neo Technology, a leader amongst its peers in the space of Graph DBMS. (source: db-engines.com) While Neo4j has been implemented using java it is accessible through software written in other languages. Data in Neo4j is stored in the form of an edge, node or an attribute. Both nodes and edges can be labeled for improved searches. Neo4j has been designed for business-critical high-performance operations. In any training environment a lot of information transfer takes place during the classroom sessions, however, when the time for actual application arises, do the participants realize that there are certain gaps that need to be filled up. We at ExcelR solutions have been addressing this issue with a dedicated post-training support network. The trainer remains in continuous contact with the participants and issues related to going live with the implementation is closely monitored remotely to minimize delays. ExcelR solution a leading trainer on Neo4j is at this position because of the multimodal training and support that we provide to our participants. ExcelR solutions a leading training provider of Neo4j has over the year formulated a comprehensive curriculum that encompasses the very basic to advanced. Quite often corporates need different takeaways from the same course, for instance, one may need the training for migrating from RDBMS to Graph DBMS and others may need to implement Graph DBMS afresh. Keeping these diverse client requirements we at ExcelR provide customized training programs to corporates on Neo4j. Our training program ensures that the participants learn all that is needed so as to implement the requirements of his organization in the most effective way. Faculty is our forte. 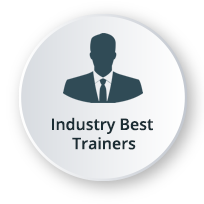 Trainers at ExcelR possess extensive real-time experience, certified, have a passion for training and considered to be the best in the industry. Request for a free demo to assess the quality of our training. 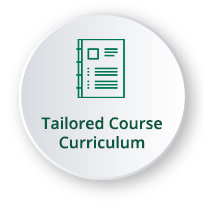 ExcelR's training curriculum is tailored according to the trending industry needs. Our curriculum is meticulously designed by top-notch experts and considered to be the best in the industry. Participants will be given access to recorded sessions of their instructor-led live classes which helps to revise and recap the concepts and also to watch the missed sessions on ExcelR's state-of-the-art Learning Management System (LMS). One can access and watch the recorded sessions even on the move. ExcelR's offers a blend of classroom, Instructor-led online and E-learning which ensures a comprehensive learning experience for the learners enhancing the learning curve. 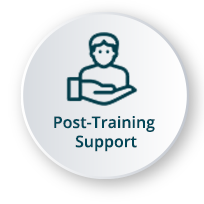 ExcelR offers extensive support even after the completion of the training through modes of interactive forums like Whatsapp, Forums and Social Media Platforms. One can reach out to the trainers for assistance to clarify their doubts. We ensure that past participants from ExcelR would help the current participants who are undergoing the training. They share their experiences and also provide guidance to fellow participants, which helps the participants with their preparation. Developed by Neo Technology, Inc, Neo4j is a graph database technology. 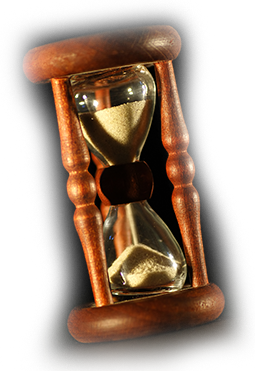 It is mainly used to deliver real-time performance and find relationships between data and extract their value. By using graphical interpretation, people can more easily understand the insights and conclusions from the dataset. Graphical databases and techniques have become an important part of projects. It is due to the entry of data and business analytics into the business world. Yes, Neo4j is open source and provides a number of commercial options both paid and free. Are There Any Prerequisites For Neo4j Training? Neo4j requires to deal with projects related to Databases and RDBMS. So, you should have an understanding of the concepts of databases and graphs. Also, you should have at least worked in some projects related to databases and relational databases. What Is Instructor-Led Online Training? Instructor-led online training is an interactive mode of training where participants and trainer will log in at the same time and live sessions will be done virtually. The sessions will be interactive where the screen of the trainer will be shared and discussions can be done. How Many Batches Can I Attend, If Enrolled For Training? ExcelR offers a blended model of learning. In this model participants, can attend classroom, instructor-led live online and e-learning (recorded sessions) with a single enrolment. A combination of these 3 will produce a synergistic impact on the learning. One can attend multiple Instructor-led live online sessions for one year from different trainers at no additional cost. Is This A Live Training Or Recorded Sessions? It is a live instructor-led interactive session which is done at a specific time where participants and trainer will log in at the same time. The same session will be also recorded and access will be provided to revise, recap or watch any missed session. What If I Miss A Live Session? No worries even if you miss a live Neo4j session for some reason. 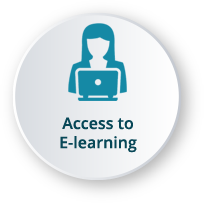 Each and every session will be recorded and access will be given to all the videos on ExcelR’s state-of-the-art Learning Management System (LMS). You can watch the recorded Neo4j sessions at your own pace and convenience. Will I Get A Neo4j Course Completion Certification From ExcelR? Yes, after successfully completing the course you will be awarded a course completion certificate from ExcelR. Whom Should I Contact If I Want More Information About The Training? 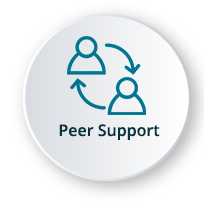 You can reach out to us by visiting our website and interact with our live chat support team. Our customer service representatives will assist you with all your queries.You can also send us an email at [email protected] with your query and our Subject Matter Experts / Sales Team will clarify your queries or call us on 1800-212-2120 (Toll-Free number – India), 608-218-3798 (USA), 800 800 9706 (India), 203-514-6638 (United Kingdom), 128-520-3240 (Australia). What Are The Different Modes Of Payment Available? ExcelR is a training and consulting firm with its global headquarters in Houston, Texas, USA. 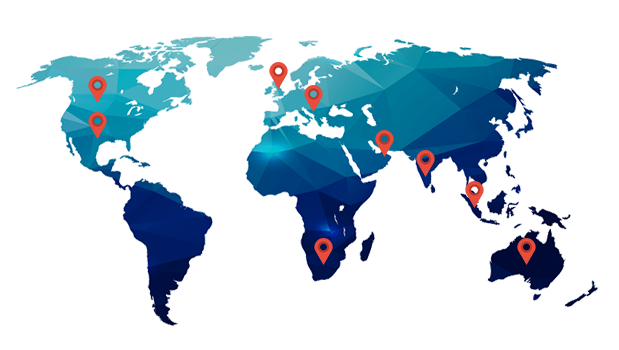 Alongside to catering to the tailored needs of students, professionals, corporates and educational institutions across multiple locations, ExcelR opened its offices in multiple strategic locations such as Australia, Malaysia for the ASEAN market, Canada, UK, Romania taking into account the Eastern Europe and South Africa. In addition to these offices, ExcelR believes in building and nurturing future entrepreneurs through its Franchise verticals and hence has awarded in excess of 30 franchises across the globe. This ensures that our quality education and related services reach out to all corners of the world. Furthermore, this resonates with our global strategy of catering to the needs of bridging the gap between the industry and academia globally. • ServiceNow is a Registered Trade Mark of ServiceNow Inc.
• MongoDB®, Mongo are the registered trademarks of MongoDB, Inc. Invalid Email. Password is sent to your registered email. Registered successfully This email already exists! Recaptcha mismatch.Please try again!